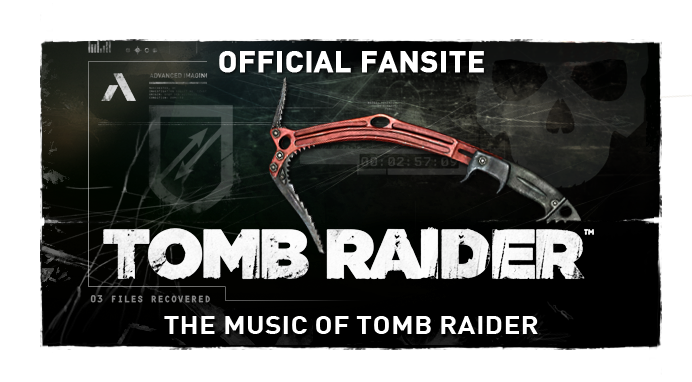 The Music of Tomb Raider: Jason Graves talks music in the Crystal Habit Podcast #18: selection of community questions via MoTR answered! Jason Graves talks music in the Crystal Habit Podcast #18: selection of community questions via MoTR answered! Two weeks ago MoTR was invited to provide community derived questions for Crystal Dynamics Community & Communications Manager, Meagan Marie, for use in her interview with BAFTA-winning composer Jason Graves about his work on Tomb Raider (2013). 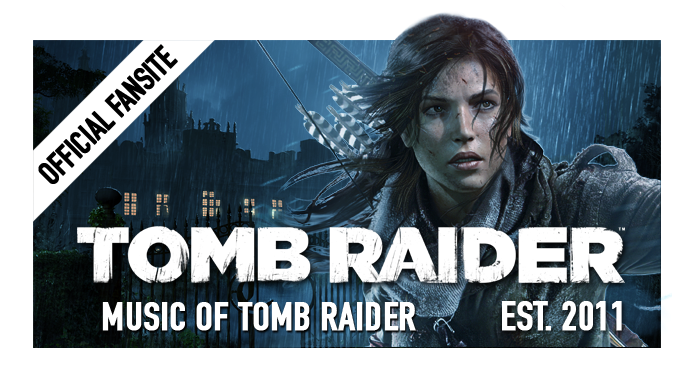 Today the podcast went live @ the Official Tomb Raider Blog! The recording reaches almost an hour and is immensely detailed. 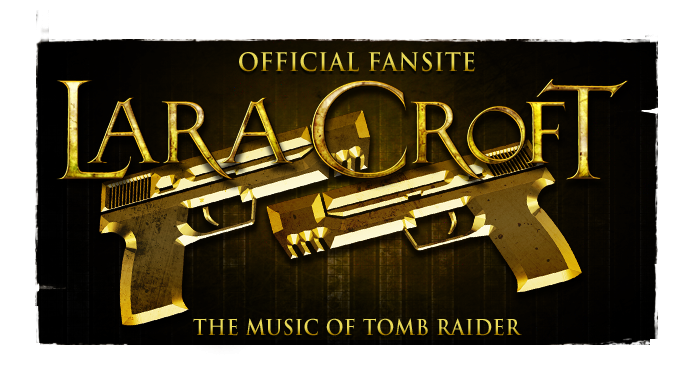 After a lengthy discourse on Graves' career background and particular tidbits regarding the music of Tomb Raider, Marie asks the composer a selection of community questions from those submitted. Tomb Raider, a reimagning of the iconic franchise, is set for worldwide release on March 5th for PC, Xbox 360 and Playstation 3. Follow the jump for the entire transcript! Meagan Marie: Hey everyone. 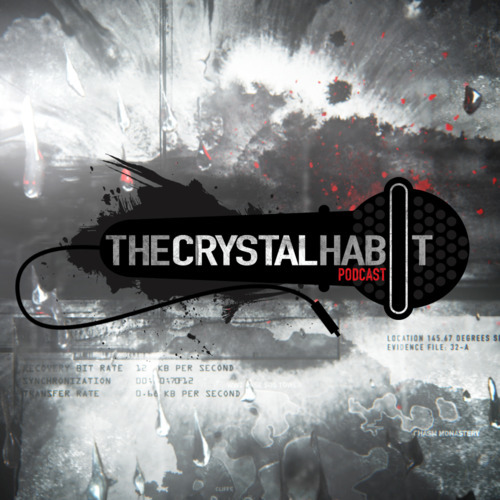 Meagan Marie here, and this is episode 18 of the Crystal Habit podcast. It’s crazy to think that this is our final podcast before the launch of Tomb Raider. We’ve come an incredible distance in the past few years. I know everybody cannot wait to get the game into your hands. This episode, we finally have a long-anticipated guest on the show, our composer Jason Graves. I do a long-distance interview, with myself in I think Seattle at the time and he at his home in North Carolina. We talk a good long while about his career and his work on Tomb Raider, and even share a little sneak peek of the soundtrack at the very end of the podcast. Hope you enjoy! Meagan Marie: Thank you everybody for tuning in. I’m really excited to have Jason Graves on the podcast this episode. We’ve been trying to get you on for a while. I was trying to find the best opportunity to maybe get you in person. But we’ve actually got you on from home in… Where is it? Is it North Carolina? Jason Graves: That’s right. Raleigh, North Carolina. Meagan Marie: Thank you. This is a semi-early call. It’s 7:30 AM PST, so it’s about 10:30 over there, but thank you for carving out time to chat with us. Meagan Marie: So we’re actually going to start with some questions that I’ve come up with, and then we have some awesome community members who are music aficionados and we’re going to move to those questions a little bit later. Meagan Marie: I figure a good place to start is, when did you decide that music was the direction that you wanted to take your life? Who are your musical inspirations? Meagan Marie: I figure it’s an important one. Jason Graves: It is, it is. Let’s see. I’ve got a picture that I still look at that my parents took when I was probably five, in front of the piano with these giant 1970s headphones. Just kinda banging. Jason Graves: I’ve always been into music, one way or another. When I was in high school, I just assumed that I needed to get a real job and I went to the career fair. Nothing really got me that excited. Except for the cellist from the symphony. [laughter] I thought that was super cool. He even said something like, “Well, if you can think of doing anything else in the world, you should do that, because you’re never going to make any money doing this.” Pointing to the cello. But my parents just never said I couldn’t do whatever I wanted to. At first I got an education. I started in music education in college. Ironically it was the methods courses, the brass and trumpet… I couldn’t the *thhhbbbpppt* thing you have to do with your lips. That was like nails on a chalkboard to me. I literally walked out the first day and I ended up switching to music composition instead. It was actually college when I finally started paying attention, retroactively, to music in film and TV. It was the John Williams stuff, like E.T. or Star Wars, Close Encounters of the Third Kind… Jurassic Park, because that was right when I was in college. Those were the major influence. “Maybe I want to do something like that.” I liked the idea of maybe being able to have people listen to something that I do outside of if I were a college professor teaching music and maybe I wrote a piece for the local orchestra there or something. I’ve always been very food-oriented as well. There’s something about just serving people and… I love listening to music. I love eating food. So I also love writing music that I think people would get close to the same I get out of listening to it. That was what spun me around in college. I went to USC in California for film and TV music and took it from there. Meagan Marie: So is your inspiration… Have you found yourself always drawn to more classical music, or are there other types of music that you really enjoy? Jason Graves: Well, I love listening to just about anything. When it comes to composing, I’m always drawn to the orchestra. I think there’s something about… I’m a drummer, so you’d think I would love doing rock tunes and programming my own drums and stuff like that. Actually, I end up being really impatient. If I have to go find the perfect kick drum for this piece of music, and you’ve got… Like today, you have literally hundreds of thousands of kick drums. [he mimics a bunch of drum noises] Okay, that one’s good enough. I’m ready to actually write some music. I think that’s what I love about orchestra. I don’t have to go find the perfect violin sound, because I’ve already spent three years choosing. I’ve got my violin sound. I can actually sit at the piano and work on the chords and the harmony and the melody. It’s that kind of…nuances. Those are the things that I really love about orchestra. And not having to worry necessarily about which sample I’m using. Meagan Marie: In terms of your professional career, where did you start out? When did you enter into the world of video games? Jason Graves: I was lucky, because at USC, the director of the program at the time got a call from a former student. The former student was looking for assistants, basically. He had been doing TV stuff for about five years and was starting to get into low-budget indie films. But he didn’t want to give up his TV, so essentially myself and another guy were nominated to go out and start assisting him. So I started working on television shows – bad television shows. This is the beginning of reality TV. World’s Scariest Police Chases. Stuff like that. I was doing that six months into school at USC. It was literally one of those clichés -- it’s not what you know, it’s who you know. That’s how I got started. I did a lot of ghost writing for him for film. I did a lot of bad television. But it really wasn’t my cup of tea. There wasn’t any creativity involved. Which is typical if you’re starting out in anything. It’s not like they hire you and say, “Oh, do whatever you think is best.” They hire you and say, “We want it to sound like Star Wars” or “We want it to be adventurous like Indiana Jones.” I kinda split. I’m from North Carolina, and Wilmington, especially back then, had a pretty up-and-coming indie film scene. There were a couple of film projects I had a chance to work on. No budget of course, but as a result, they also kinda let me do whatever I wanted to. I moved back to North Carolina and started doing independent film and working at the same coffee shop I was in before I went to USC. It was very humbling, but also a lot of fun. For about six years, I did that, plus corporate things. Recording radio spots and doing music for corporate videos, and also building my own music library. I would just write music all the time and try different genres. I’d do a couple of African pieces. I’d do some reggae stuff. I’d try to do some calypso music. Anything I could do to learn why the chords did what they did. What makes reggae sound like reggae? Then the whole time I was learning how EQs and compressors work. I was learning Pro Tools. I was learning all that stuff that they don’t really teach you in school unless you’re an industries major, which I definitely was not. So throughout that whole entire time, I was also writing orchestra music and perfecting my samples. Back then I had a hardware sampler with 128 megabytes of memory and my whole entire orchestra was squeezed into this one sampler. But the importance of that was, when something finally came up… I was doing these newsletters and promoting myself as much as I could around town. Someone heard of someone else who heard somebody say that they needed orchestra music for this video game. It was based on the movie King Arthur, back in 2001. So they wanted the music to sound kind of like King Arthur. They knew they needed something orchestral. They knew Hans Zimmer was doing the score for the film. That was about it. They had three weeks for about 45 minutes of music. I did a piece real quick. I scored their trailer pretty much for free, just to say, “Here’s what I would do.” A couple of days later they came back and said, “That sounded awesome. Can you do the rest?” I said, “Sure.” I’d do two or three pieces a day and send them to them and they’d say, “That sounds great. When can you send more?” So my experience went from doing ad agency stuff like the Intel logos, the bum-bum-pum-bum… Burger King. Honda. Toyota. Literally, you would spend eight to 10 weeks on 30 seconds of music. Version 52, where it’s really just… “Oh my gosh, just approve it so we can move on. This doesn’t resemble what I intended from the beginning.” Something like that, which is why I left Los Angeles – a complete creative nightmare – to writing 45 minutes of music in three weeks and they didn’t make a single change. It was one of those epiphanies. The clouds parted, the rainbows shone down, and I just said, “Oh! Game music! Man, this seems like I could have a lot of creative freedom and be satisfied working in games.” That was in about 2000. Wow, that was 13 years ago. But that’s when I set my sights on games. Meagan Marie: You said that the first bit you did was scoring a trailer. Obviously the difference between scoring those corporate sounds and movies… It’s quite different from working on interactive entertainment. Jason Graves: Yes it is, yeah. Meagan Marie: What did you find when you actually… Because everybody knows you from Dead Space. What were the trials and the difficulties -- and also the successes and the unique, fun aspects -- of scoring interactive entertainment? Jason Graves: First of all, fortunately for me, with the interactive stuff in the early days… It didn’t exist. It was just stereo. I was able, for about five years, to just do stereo tracks and stingers and kind of get used to the overall mentality, which I loved. Some people don’t like it. But the freedom of, “We need two minutes of music that sounds like you’re exploring…” When you’re scoring a film, it’s 30 seconds of something, then you have to pause, and then when he turns around you start the music there. Being from the background, though, I still love writing music that sounds like that. So even in the stereo, non-interactive days, I was ebbing and flowing, building up and building back down, even within my own stereo track. Dead Space was actually the first truly interactive game that I worked on. That was throwing everything into a whole new light, because it was four layers that simultaneously played on top of each other. The computer, or the console, would turn any of those layers up and down depending on, essentially, how close you were to a marker that they would drop on a bad guy or the corner or a door. The closer the bad guy gets to you, or the closer you get to the door… The fear level was what they called it. That ramps up. The music goes from quiet to kind of gurgly to kind of vicious and then just flat-out unsettling. But that means something’s right on top of you. A lot of that was just iterative on my part, experimenting. The most important thing for any game composer is hearing the music in the game, once it’s been implemented, and hearing how the music reacts when you’re doing something interactive. Having the ability to go back and tweak it and not just having to move on – “Maybe the next cue I’ll do better and it’ll sound better in the implementation.” Which is why it’s wonderful, with Dead Space or Tomb Raider, having a long time to work on the game. Meagan Marie: That’s actually a good transition into my next question. How long have you been working on Tomb Raider behind the scenes? Jason Graves: About two and a half years. Meagan Marie: You couldn’t even talk about it for a couple of those years. It’s only been fairly recently. Meagan Marie: Just being excited and not being able to share that enthusiasm. Meagan Marie: I totally understand that. However, speaking of, we mentioned our music-of- Tomb-Raider fans earlier… I’m fairly certain that Harry ["H4RR7H"] did figure out that you were the composer like a year ago. Jason Graves: Yeah. They narrowed it down. There was a poll, I think, that they were taking. They had 10 composers. I was watching. I wish I could have said something. [laughs] Because I’m a huge fanboy too. For me, it is a little strange having the sides flipped, but I think as a result… I just so appreciate anyone who has an interest in anything I do. If I could get in contact with John Williams or Bernard Herman or someone like that -- it would be so cool if they could tweet back to me. I try. It’s really great being in contact with everyone. But the funny thing was, this poll, they had 10 composers. I’m not even sure why they had me on the list in the first place. But they narrowed it down within a couple of days to three, I think. Maybe Inon, Jesper, and I. Something like that. I was like, “Wow!” I mean, I know all these composers. We’re all good friends. Those are three very logical choices. Meagan Marie: Yeah. They’re pretty educated when it comes to music. I know that they’re listening to samples and past work and trying to whittle it down. But eventually then they start tweeting everybody and asking them to confirm or deny. I think you were one of the only people who didn’t deny. Jason Graves: Yeah. It’s tricky. Meagan Marie: It’s a tricky situation, because you can’t deny it, but you can’t actually respond, either. It was really impressive watching them whittle it down and eventually figure it out almost a year before we announced you. It’s kind of a fun thing about our community. They don’t sit on their hands. They take the initiative to try to figure things out. They also did that with Camilla. They figured out who Camilla was and so on. We have an awesome community. So what was your thought when you were first approached about Tomb Raider, when the offer was out there and you had the chance to work on this franchise? Jason Graves: But when I was speaking with Jack Grillo at the beginning… Even the original call was supposed to be just a 15-minute courtesy call. “Hey, are you interested? Do you have any kind of ideas?” I think we talked for two and a half hours. Meagan Marie: That’s a good sign. Jason Graves: It is. There was an equal parts energy and enthusiasm on both sides of the phone. Everything I suggested would get him spun up into talking about something else, which would give me an idea. It’s been that way the entire time. I’ve never this kind of creative synergy with a game before. Meagan Marie: This is, I think, a nearly impossible question, and I think this is something that shows I am perhaps not the most educated when it comes to formal music training. But is it possible, for this project, to sum up some of the tonal direction or themes and so on that you tried to implement and convey in the entirety of the game score? Meagan Marie: You have one for us music novices. Jason Graves: I’ve got it. So here’s the three things that I love, the three things that I got to do in equal parts for Tomb Raider. Number one is melody or themes. I grew up on Star Wars, Indiana Jones… I love thematic stuff. Number two is percussion, which I actually have never been able to do on a game score before, because I never had the studio, the means to record it properly. I’ve moved into a new studio about a year and a half ago. I am a percussionist, and nothing says Tomb Raider more than percussion, right? Then number three is the thing that’s been happening since Dead Space, the textural… Not necessarily playing chords. It’s more textures and a feeling that the music gives. I was able to do that on my own. Dead Space was a huge orchestra doing all these crazy sounds, but I recorded all these textures myself here at the studio. So those three things came together in this wonderful symbiosis of musical energy. Lots of thematic writing, lots of really fun percussion for me to play, and then lots of fascinating creative textures to explore. Meagan Marie: I’m actually really particularly interested in those themes, then. We have to be careful, because I think you’ve done such an incredible job with your music that it tells a story, so we need to avoid spoiler-ish descriptions during this. But do you have… What themes have you implemented in the game as far as… Is there a theme for the island? Are there themes for particular characters? What are you trying to convey in those particular themes? Jason Graves: Well, we have, of course, Lara’s theme. I think everyone has heard that, and if they haven’t, they will soon, because they’re using it in the commercials and everything. The interesting thing to me, and this is why I love thematic writing so much… There are four themes. There’s Lara’s theme. There’s Roth’s theme, Mathias’s theme, and then the island theme. Those are the four major characters in the game. Now, all four of those themes are actually derived from the same four notes on the keyboard. You’ve got Lara’s theme that everyone knows. It’s more than four notes, but those first four notes, the [plays the notes]… The first four notes of the phrase, that shape is very similar to Roth’s theme, which kind of has a [plays the notes]… It’s got a jump in it that’s kind of a heroic… I’ve always loved the Star Wars [plays the opening notes]… The way it leaps. It’s got that heroic kind of sound. That’s very typical. A fifth or a fourth leap to kind of sound like you’re being heroic. So I wanted to include something like that in Lara’s theme, but it also… Roth’s theme imparts that heroism, because of the leap in Roth’s theme. It’s kind of where Lara gets that same leap. But in the same sense, the island is the exact same notes as the first four notes of Lara’s theme. The intervals are just a lot bigger or smaller. It sounds a lot more mysterious. [plays the notes] It’s a major sevens, minor seconds… If you compare them on top of each other, visually they look like they’re doing the same thing. It’s just that the accidentals are different, almost. Then Mathias’s theme, who is essentially corrupted by the island, just completely corrupted, where you have the opposite… Lara is not. She’s empowered. The island makes her who she is. Well, it makes Mathias who he is, just in the opposite way. It’s actually the island theme, but played completely in reverse. That’s Mathias’s theme. [plays the notes] You get that half step on the back end. That’s more or less what I did. Having it be that simple… They’re playing on top of each other sometimes. They interleave and dovetail. Sometimes they’re re-harmonized to sound certain ways. The simplicity of thematic material like that is what I love, because you can listen to a score four or five times and there’s actually a lot more going on. The more you listen to it, the more familiar you become with the themes, and the more you pick up. There’s usually at least one theme playing at any given point in time in the score. Meagan Marie: Very cool to hear that. I’m going to ask you… Well, first… I’ll ask you that evil question at the very end, because I think it’s a fun but evil question to ask a composer. Meagan Marie: But can you speak to the instruments a bit? I know that this was such a cool project, that you were able to… A cool and really innovative project that you were able to work into creating these sounds and the theme of the island. Jason Graves: Let’s see. In a nutshell, I wanted to do the textural thing, the third of the three things that I loved. I started out with just what I found around the studio. I was banging on a garbage can and bowing some leftover fencing from the chicken coop I’ve got in the backyard. It was all really cool. I loved the sounds. Alex and Jack loved the sounds. The downside was it kinda only played one sound, so after a couple of pieces, it was getting a little one-note. No pun intended. I knew this guy named Matt, Matt McConnell, through Facebook, believe it or not. At one point in time his Facebook tag was McConnell Studios. I thought, “Well, studios, is that a recording studio? What is that?” I looked at it. If you go to… I think it’s mcconnellstudios.com. His stuff is so cool and original-looking. He does a lot of corporate and custom lights or tables. Lots of stuff with aerial compositions. He’s got stuff at the museum here. Obviously very… He knows his craft, a lot. At the beginning, I was just interested in harvesting maybe some pipes. Maybe I should use the word “scavenging.” Some pipes or chain. Maybe I’d get him to weld something together for me. But again, like when Jack first called me, I went over to Matt’s and two hours later I was leaving. He was just so into the idea of doing something custom. I went back to Alex Wilmer and said, “So I was talking with this guy Matt. He’s a sculptor. Maybe we could do something more than just having him weld a pipe to a big oil drum. What if we got him to actually build an instrument?” In typical Crystal fashion, Alex just took that and ran with it. He said, “Yeah, we’ll have him build it, but we want to put it in our lobby when it’s finished. We want to commission, properly get him to do something.” So for about a year Matt and I worked on different… I was focusing just on the sounds that it would make. I knew that we wanted something metal that I could bow, something metal that I could hit, so that would be scavenger-ey. That’s the spiky thing in the middle of the instrument. I wanted glass, something that I could play, because I like the idea of Yamatai and everything having this ceremonial, shrouded-in-mystery kind of sound. Then some sort of pipes or something else that had a different edge to it. Matt ended up doing this cool-looking bamboo that goes around the outside of the entire thing. I play that. I play everything on the instrument. So we started out with three sound sources, but I ended up getting… I could probably get eight or 10 different sounds out of it, just because different mallets or a bow or brushes or triangle beaters make all these sounds. It really is throughout the entire score. Some of it not quite as identifiable as others. I think the bowls are the most readily identifiable, because there’s only three of them, and they’re three set pitches. I play those three bowls throughout the entire score, and that is the island. So if anybody says something about the island, or you see a wide shot of the island, or it’s something about trying to get off the island, you hear the bowls in the background. I bet, a third of the way through the game, you start… It’s like the Wilhelm scream. It’s the exact same thing every time. You start recognizing it immediately. Even if players don’t realize it’s associated with the island, I think it sets up mystery, intrigue, a ceremonial something… This resonating sound in the background. Meagan Marie: Without question. I really enjoyed, in particular, that sound. I’ll make sure to link to the Final Hours episode featuring music in the description for the podcast, so people can see you playing the instrument. It is beautiful, aesthetically. It’s such a gorgeous sculpture. But it’s really interesting to see the sources of all these sounds that we’ve become familiar with. It is ending up in our office, right? I think right now it’s in L.A. It was shipped across the country and eventually it’s going to end up in the office. I’m looking forward to that. I think it’s going to be an awesome conversation piece for the studio to have there. Jason Graves: And you’re going to have the bows and the mallets and everything. Meagan Marie: People are going to walk up and experiment with it all the time, which I think is great. Jason Graves: Yeah, I love that. Meagan Marie: So here’s the evil question that I was going to ask. What is your single favorite piece that you’ve composed for this game? Jason Graves: Wow. That is evil. Meagan Marie: It is. It’s like asking you to choose a favorite child, I would think. But I’m asking anyway. Meagan Marie: It could be your favorite end product. It could have been your favorite one you had while composing… What do you think? Jason Graves: Hm. How about if I give you three? That’s cheating, but I’m going to give you three. I’ll tell you why, because there’s kind of one at the beginning, one in the middle, and one at the end. Jason Graves: In order to answer this, I need to explain a little bit about the… I don’t need to explain Lara’s character arc, but the fact that Crystal had me on board two and a half years ago, and in explicit detail… I mean, I sat down with Noah and… I think there were four or five people in there. All the major players. They gave me a pitch, an hour-long pitch on the game and the plot and what was going to happen to Lara. So I knew from the very beginning that she was going to go from this introspective, scared, vulnerable, inexperienced person to a more battle-hardened veteran. As a result, the music follows her. One of my favorite pieces is the piece that plays in the den at the beginning, because it’s nothing but the instrument. There’s no orchestra music. There’s no piano theme. Nothing recognizable. It’s like you’re in completely alien territory. I was just at Crystal last week, and Alex summarized it perfectly, because we played through and it just worked so well. He said, “I love this because we’re wiping the slate clean. Even if you haven’t played Tomb Raider before, or if you’ve been playing for 10 years, the music is saying, ‘Okay, this is a new Tomb Raider game. This is unfamiliar territory. This is unlike anything you’ve seen or heard before.’” Then we have her theme, just on piano, super simple, and it’s like you wipe the slate clean and then you give the most simple, straightforward version of music other than someone singing it. It’s the most simple, hopefully kind of ingrained in your memory. So the den piece would be one of my favorites. The last piece on the soundtrack, which… You don’t want to talk about it too much, but going full circle with her character arc, especially as a composer… It’s fun to do stuff like that. It’s a big version of her theme. It’s only played twice in the game, I think, because that’s the kind of game it is. But it’s a lot of fun. Big orchestra. Horns with the theme and percussion and everything. And then my third piece was kind of the percussion exploration… Again, I don’t know if I can name the characters, but it was lots of metal. Again, lots of the instrument and a couple of other percussion things I have around the studio. But I just love the way it ended up sounding, because of the microphones I used and stuff. It sounds sonically like you’re in a different world from what had previously happened in the game. It’s matching the game. But maybe we can release that once the game comes out. We’ll give specific track names or something. Meagan Marie: Yeah, we should definitely do a follow-up and you can talk more granularly about some of these. So now we’re going to move on to some questions from the community. These are the ones that get… They do get a little more granular and specific. These are… Harry ["H4RR7H"] from Music of Tomb Raider, he’s the one who gathered these from the various communities around the net, the Tomb Raider communities. Jason Graves: That’s an easy question to answer, but I hope no one hates me as a result. [laughs] I played…I think it was the second Tomb Raider, soon after it had come out. But it was right when it had come out. It had been 10 years. I hadn’t really kept up with any of the other games. Mostly because I hadn’t kept up with a lot of games, except for the ones I’d been working on, for the last 10 years. I was really able to come at the score with a blank slate. I couldn’t remember anything about it. I knew who Lara Croft was and I knew the point of the games, but I definitely didn’t remember any of the music. See? Short answer. Meagan Marie: So in preparation, then, for this Tomb Raider, did you go back and listen to any of those? Meagan Marie: Or did you want to keep yourself just as pristine as possible? Meagan Marie: Okay. So you’ve seen, then, I’m assuming, on the various forums… There have been people that say they feel like it is a… That the theme that they hear, especially in the Turning Point trailer, has some similiarity or feels thematically like some of the classic music. So that is, without question… If they’re picking up on that, it’s a total coincidence, because this is your vision, uninfluenced by any of the previous iterations of Tomb Raider music? Jason Graves: Complete coincidence, but… I think the original theme, as simple and open as it is… I went back and listened… I’ve got all the soundtracks. I just hadn’t listened to them. Maybe five or six months ago? All my work was more or less finished. Especially the first two notes… It’s the most simple version of any music you can pick, because it starts on the first note of the scale and it goes up to the second note of the scale. Both of our themes share that, but especially, having my version of Lara’s theme ingrained in my brain, I hear those two notes all the time. I hear it in commercials, in other film scores. It’s a common factor. It’s so wonderful, I think, that both of those themes accidentally share that, because it ties them together. I think both of us, both of the composers that is, we were coming from the same place. Jason Graves: We’re just geniuses obviously. [laughter] It is great that it worked out like that. There was even a piece of music that Alex did for a radio thing. It’s playing in the background. He played the music for me, and I looked at him and said, “You do realize that you’re playing the Tomb Raider theme, the new Tomb Raider theme, right there in that chord progression?” It wasn’t even the theme. It was the progression of the chords. It had those same [hums the tune], those same notes in the chords. It’s kind of an open-ended, you can do what you need to with it, very malleable kind of theme. Which is great. That was one of the biggest things I wanted to do with it. I guess the short answer is, it wasn’t intentional, but I couldn’t be happier if everyone associates it with the previous games. Meagan Marie: Yeah. I think that… Even if they are different, having that sort of sense of nostalgia – freshness, but familiarity -- is a very nice happenstance. Jason Graves: Exactly. And that’s something that you can… Especially, if I had known the theme, I would have said, “Oh, maybe I can take this note and turn it around…” That starts getting really complicated. Meagan Marie: Okay, so next question. “How does it feel to be the first Tomb Raider video game composer to publish their work in more than 17 years of the franchise? You’ve pioneered the stand-alone physical and digital sale of a Tomb Raider video game soundtrack. Fans are incredibly thankful for that.” That’s obviously for the game. I do know that there were soundtracks for the movies, because I own all four of them, but yeah. People have been wanting to buy Tomb Raider music for a long time, and now they can. How does that feel? Jason Graves: Like I’m the luckiest person in the world. Ultimately, as a composer, we have no say in the matter. We don’t own the music. So props to Karl and marketing in general for pushing everything ahead. I think part of it is… People are getting wise and realizing that there is an interest in video game music. Meagan Marie: I think people are starting to realize that. Movie soundtracks are quite popular, and video games have such… They’re longer. They’re more engaging. You commit so much to these characters and these worlds. People want to have that connection that they can take with them. It’s really cool that… I know there’s tons of interest within the Tomb Raider community. They’re all excited to buy the stand-alone one. There’s the Survivalist Cut? Meagan Marie: In the collector’s edition. But to get that full experience and be able to listen to it… People are excited. We’re really happy to be doing that. Jason Graves: I’m very excited as well. And let me set the record straight real quick, since we’re talking about the Survivalist Cut and the full soundtrack. Originally – this was when I think I was communicating with Harry ["H4RR7H"], or maybe someone else on Facebook – I was going to put 30 minutes of exclusive music on the collector’s edition, the Survivalist Cut, and then have another as many minutes as I could cram onto the soundtrack release. But I’d have them be different, because to me, as a fan of music, if I were getting a special edition or anything like that, I would love to have… In film music the equivalent is like outtakes or unused cuts or deleted, never-used music. There was something with the record label and the UPC codes and things that basically… We had to make the collector’s edition a subset of the final album. There’s about 35 minutes on the collector’s edition. Those same 35 minutes are on the final album, plus another 40 minutes of music. However! I’ve found that Soundcloud can be a wonderful way of disseminating a lot of this music to anyone who wants to listen to it. So the more than three and a half hours of music I wrote for the score, I’m planning on putting it all, in one way or another, up on Soundcloud. We’ve got 70-something minutes that will be officially released. Even those tracks I had to cut down. Any of the tracks you listen to, unless they were cinematics, the gameplay as I wrote it interactively… It might be a seven- or eight-minute track. I had to cut it down to four just so I could put more on the album. So I’m gonna be doing the complete versions. I’ve got 70-something minutes of cinematics alone to put up. It’s great that they’re releasing it publicly for sale, and obviously unless they’re doing a five-disc set or something, people are going to be frustrated because certain things aren’t on there. But hopefully, between the CD release and Soundcloud, we can make everybody happy. Jason Graves: That’s right, they did push it back, didn’t they? But no, I don’t think so. A lot of times, with games… If I spent two and a half years on something, that doesn’t mean I was doing Tomb Raider full-time for two and a half years. It’s more like, work for a couple of weeks, let them put it in the game, come back a month later, listen to it, do something else. And then inevitably the last five or six months are the crunch, where you’re getting 70 percent of the score written. The crunch just got delayed a little bit. That was really more or less what happened. Meagan Marie: Okay. Okay, so…Tulok – we have some of their names here – asks, “Did you enjoy working with the in-house Crystal Dynamics team? How closely did you work with them?” I think that’s interesting. Could you talk a little bit to how you collaborated, then? Who, specifically, did you work with in that iterative, back-and-forth process? Jason Graves: I already said this once, but… They were such an empowering, creatively inspirational group of folks to work with. I worked with Jack kind of on the first half and then Alex on the second half, because ultimately Alex was the one that was implementing the music. But there was never… We iterated extensively on Mathias’s theme, just because it wasn’t… The first version I did actually ended up sounding a lot like the Godfather theme. [laughs] Completely. I was like, “The Godfather? That doesn’t sound…” Then I played the Godfather theme. There was this one interval, and it turned out I had it in the same key as well, which didn’t help. But we ended up doing… We went back and forth and back and forth. Not in a bad way. I was doing stuff, and actually I was working with Jack at the time. Jack would play some things on his guitar or even hum into his iPhone, just to get away from the Godfather theme. The version that you hear is what we ended up with. But other than that one theme… I don’t know. We had some sequences that we tweaked, like the SOS tower climb that Dave showed. I think I did three completely different versions, only because we were changing the intent behind Lara as she climbed. First it was very kind of trepidatious and cautious. Then we thought maybe it would be better if it were more assertive. Then that was a little too assertive, so we did something in the middle. Other than that, everything else… I joked with Alex many times that he needed to start giving me things to change. Otherwise I think he’s just kind of turning into a yes man. “Okay, yeah, that sounds great. Let’s just put it in the game and see how it sounds.” Ultimately he would default back to me and ask… He’d do a movie capture or I’d do a game play with the Xbox I’ve got here and he’d say, “Is that working? Do you think that’s the right levels? I can change it if you think it doesn’t sound the way you intended.” He was very sensitive and respectful of what I was trying to do. But it was also vice versa. We had lots and lots of fun. These are the people that encouraged me to do the sculpture. They’re the ones that encouraged all these crazy sounds. It wouldn’t have happened if one thing had been, “Yeah, we don’t really want to try that.” I wouldn’t have kept experimenting, let alone tried to do crazy stuff. Jason Graves: Definitely watch them first. That was another wonderful thing. I was able to do for the gameplay as well. I never scored anything blindly. But for cinematics and trailers, yes. The cinematics all came at the end. Alex and Jack were smart, and they held off on any scoring whatsoever. Then I did them all in about a three-week time for those 70 minutes. But it was so easy, because I had all my percussion instruments sitting here. I had all the themes worked out. I had the instrument pieced around, modularly set up and miked. We’d watch the cinematic, talk about the emotional undercurrent and what’s going before and after the cinematic plays so there can be smooth transitions… There was no question in my mind about what the music needed to do. It was just a matter of putting it into the computer. Meagan Marie: All right. Let’s see… Viking Was Dead and Mickey and Knick Knack and Levi – this was a popular question – ask, “Were there any particular cultural influences that you had when you were making the game?” This one, obviously, with the game being set off the coast of Japan… There’s most certainly something that you would speak to there. Jason Graves: That’s a great question, by the way. I knew from the beginning about the location, and I was hoping that Crystal didn’t want to push the Japanese thing in the music too much. Shakuhachi flutes and all that cliché-sounding kind of stuff. So what I did, being a percussionist… I wish I could take a picture of my desk. There’s just crap all over it. Percussion. Good world percussion crap. But instruments everywhere. I had a little African drum and a Native American drum and a Middle Eastern drum and some sort of… I guess that’s African too, this little Nigerian thing. Then shakers and rattles from the West Indies to South America. I was intentionally non-regionally-specific. It just had a feeling of percussion without pointing to one specific country. But I did pull out some taiko drums for the last third of the game. More for their size and the mass that they impart when you record them than the fact that we’re in Japan, therefore we must have taiko drums. Meagan Marie: Yeah. So it was just the best instrument for that particular sound. Jason Graves: We’ve got all the percussion. We’ve got the instrument itself. Then I also played… I’ve got violin, viola, cello, and bass. I did a lot of textures on those and played them myself. I also… I didn’t use the piano. Some waterphones and a couple of other… The bowed gong and stuff like that. That was about it for all the recorded instruments. For the virtual instruments, I used mostly my own personal sample library of orchestra sounds, which is what no one wants to hear when they ask that question. [laughter] But I’ve been sampling my own stuff ever since the original Dead Space. About a year ago, I got all my brass and strings finished. All the brass and strings you hear are all mine. But what I do use occasionally, and this is kind of answering his question, there’s a woodwind thing called Berlin Woodwinds that I’ve been using for a while. There’s also a string package called Cinematic Strings 2, which are the most beautiful sampled strings I’ve ever heard. For percussion, I used to use the ProjectSAM True Strike percussion, and for brass I used a thousand different things because I was never happy with it, which is why that was the first thing I sampled myself. So, indirect answer, but I’m sure that was probably what he was going for. Meagan Marie: Well, I think that’s it. We had a lot of really interesting fan questions. We’ve covered a lot. We’re at almost an hour, so thank you so much for spending so much time chatting with us. We really appreciate it. Any final thoughts? This should be going out… We’re about a week from launch. Jason Graves: Let’s see. You know what I would love to do, because I’m sitting in a studio and it’s just fun, is play… There’s four instruments in the percussion that I used almost all the time. Let me look around and see if I can find them. One is this little tiny shaker, this little miniature coconut. It sounds like this. [shakes] That was one of them. Then there’s this other rattle type thing that sounds like this. [rattles] So those are in the left speaker and the right speaker. Then we’ve got a drum. This is the little tiny African drum. [drums] This kind of a… [drums some more] It’s probably going to distort a little bit, but that drum, I actually got it at a gift shop at a zoo for $25 dollars. Some of the shakers… I think it was like 10 bucks someplace. And then I’ve got a Middle Eastern drum, it’s called a tar, but it’s got this kind of sound. [drums] Those are the four instruments that literally… One of the drums in the left and right speakers, one of the shakers in the left and right speakers. The tiniest bit of reverb and they’re playing on almost every track. Meagan Marie: That’s really interesting. Especially because you picked those up in kind of inconspicuous places, and now they’re mainstays in your studio. Jason Graves: Yep. I feel like I need to put them away. They’ve been branded the Tomb Raider percussion. Meagan Marie: Yeah. [laughs] Well, all right. Thank you so much for joining us. Meagan Marie: I can’t wait for everybody to play the game and listen to your wonderful score. Jason Graves: Me too. I am on Facebook and Twitter, and absolutely love talking with people, so please, get in touch. Meagan Marie: I’ll definitely link to those. Thank you so much! Jason Graves: You’re welcome, Meagan. Meagan Marie: And that’s our show. Hang in there for that exclusive sneak peek at the soundtrack that we promised. Until next time!